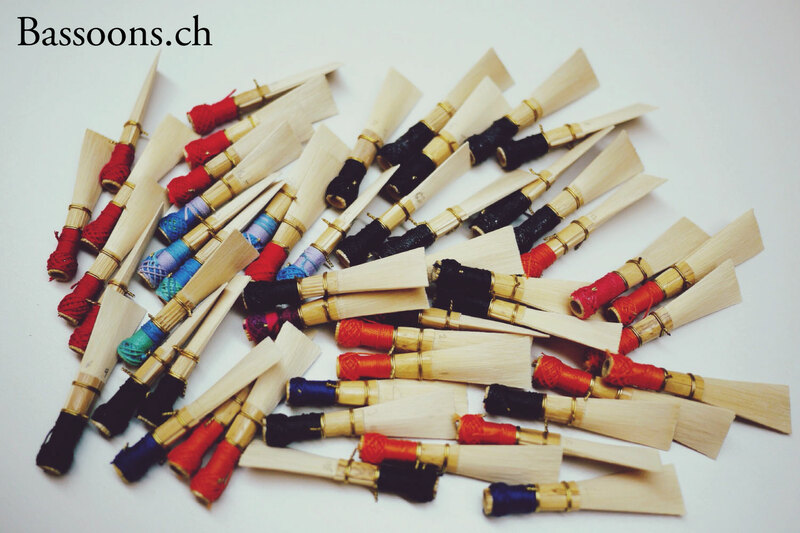 Over the last few months I have been preparing my new reed making website, Bassoons.ch. Much work has been done, and there's plenty more still to go. However, I'm comfortable now to announce that I am open for business selling bassoon reeds for various models of instruments including Modern, Baroque, and Classical. As a professional bassoonist, I have been very frustrated with both the quality and the design of cane for historical instruments which is readily available on the market. Some of the most common distributors supply cane with hardly any accuracy in the gouge (sometimes +/- 0.2mm), or a profile thickness which guarantees that there will be hours of more work whittling once the reed is formed (both of these problems often exist in conjunction, in my experience). After meeting machinist Greg James at BVBD 2015 and seeing his side edge clamping gouging machine, I learned that bringing precision gouging to market was possible. Greg's machine delivers cane consistently with an accuracy of +/- 0.01mm, an incredible figure! While my machine is only weeks away from arriving, I'm rubbing my hands in anticipation of the improvement I will see in my own reeds. Furthermore, as I have often felt that time fiddling with reeds takes away from my own practice time I profile my cane much closer to its finished dimensions than what you find on the market today. That means I have to have more profiles to accommodate different historical instruments, and I think everyone would appreciate having an almost finished reed simply after cutting the tip off. While here in Basel I have been fortunate enough to work with numerous instruments by Peter de Koningh and Pau Orriols, allowing me to make reed models for specific copies (or specific Grenser bassoon/bocal combinations). Soon to come are reeds for Wolf instruments. If you're interested in what shapes and profiles I generally work with, you can take a look here: bassoons.ch/about. As usual, I'm always up for a challenge, so if you have an instrument which I might not have a model for don't hesitate to get in contact with me either through The Heckeler, or bassoons.ch.